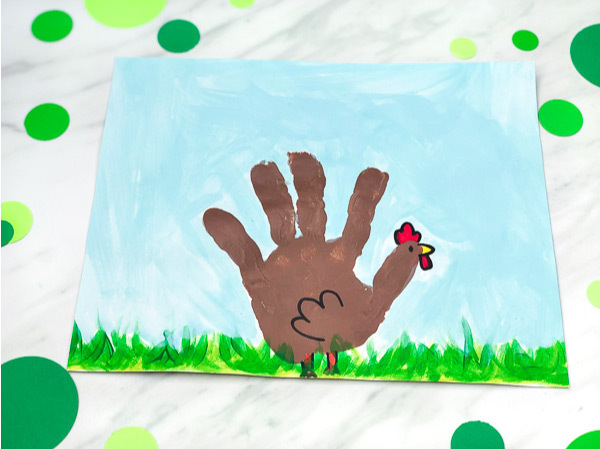 Inside: Make this handprint chicken craft for fun or when learning all about farm animals. All this week we’ve been diving into all things farm related! 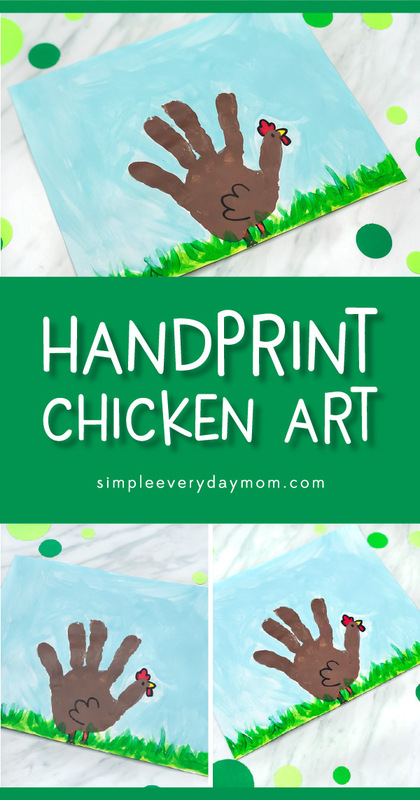 We’ve made this tractor popsicle stick craft, played with this preschool farm theme small world play, made this easy pom pom sheep, this cute paper plate pig craft, and colored these simple farm animal coloring pages. 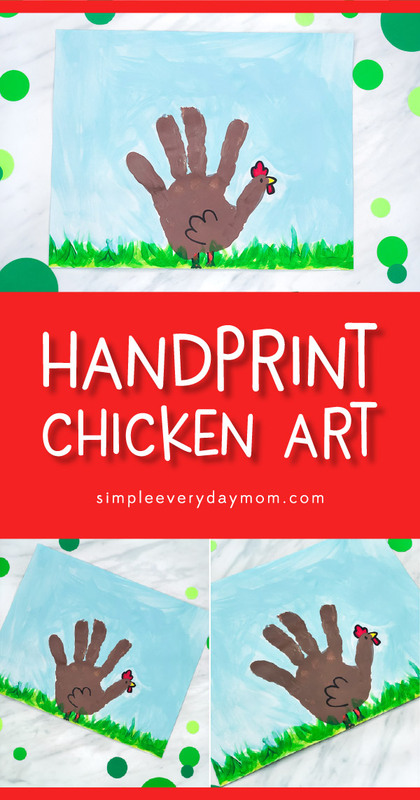 Today we’re sharing our last craft in the series: this adorable handprint chicken craft. 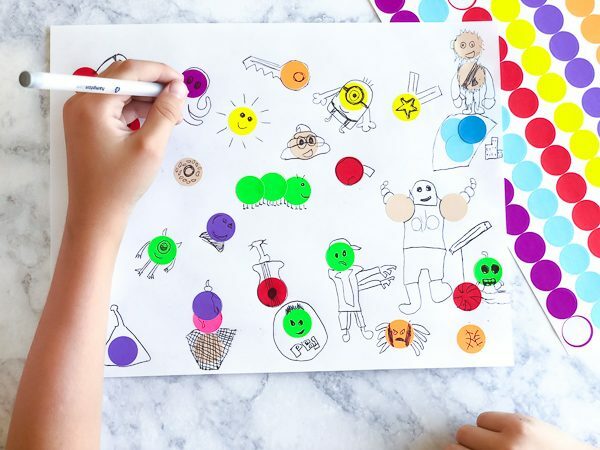 Read on below to see how simple it is to make at home or in the classroom with your kids! 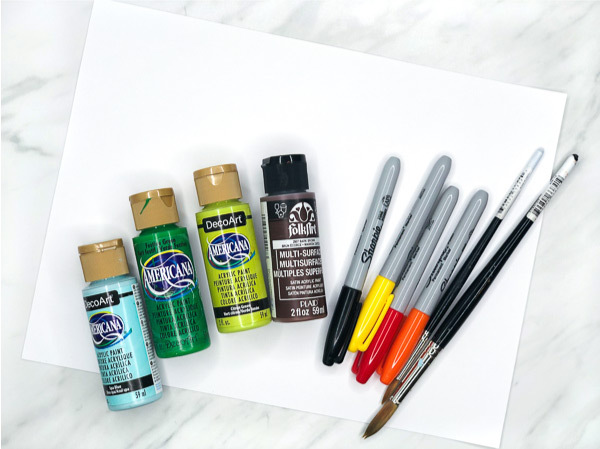 Paint some grass or hills with the green paint, along the bottom of the paper or canvas. Use the blue paint to paint the sky above the grass. Let dry completely before moving on. 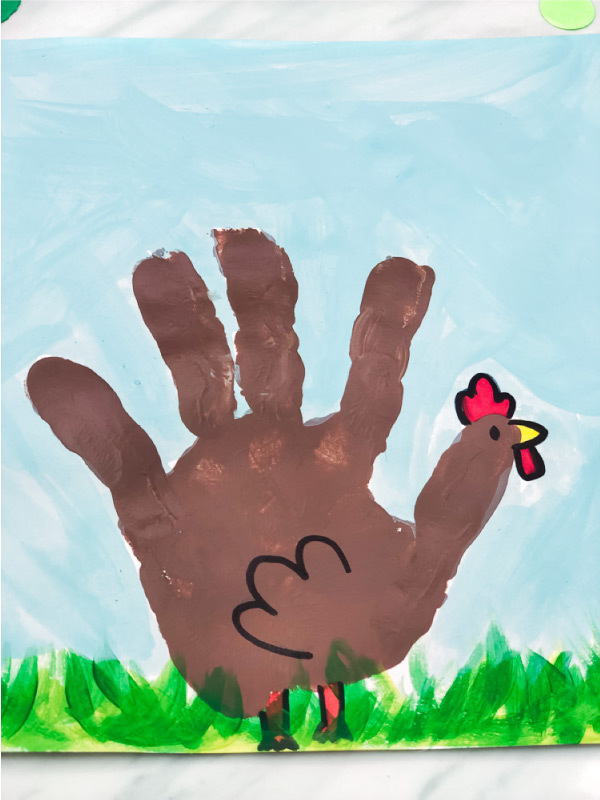 Use a paintbrush to brush the brown paint onto your child’s open hand. Firmly push your child’s hand down slightly above the grass (be sure to leave room to make the legs), with their fingers pointed upward. Gently pull their hand straight up to avoid smearing any paint. Let the handprint dry completely. Once dry, use the markers to draw on the wattle, comb, legs and beak. 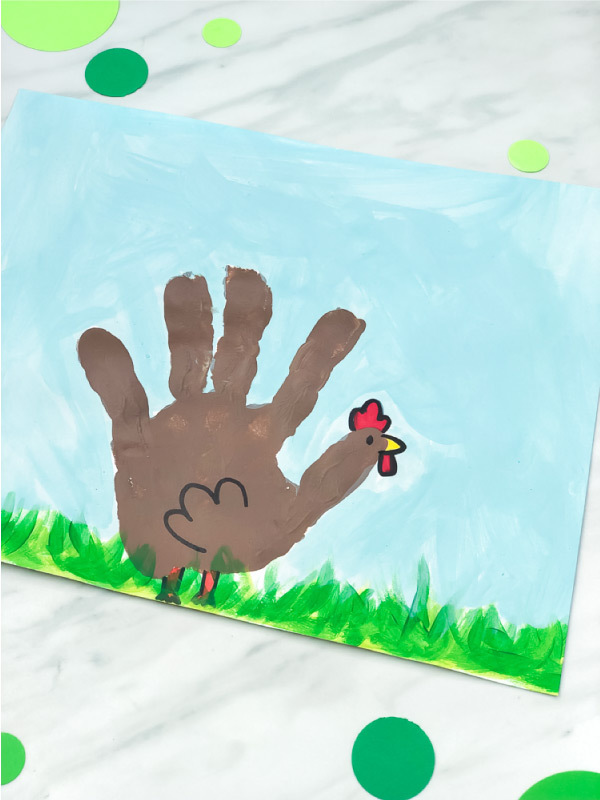 Use the black marker to draw on a wing and outline the other parts of the chicken. 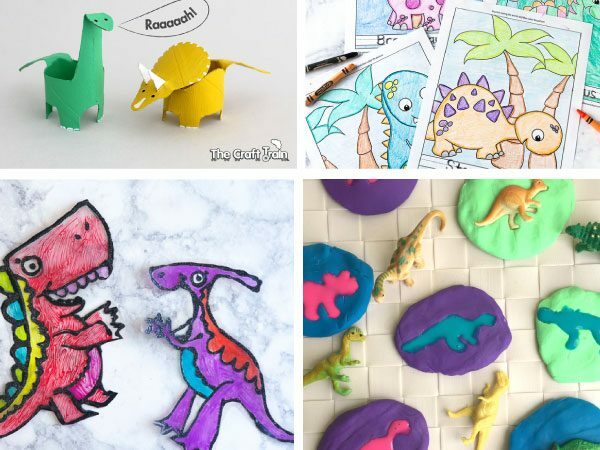 Even though painting handprint crafts can sometimes get a bit messy, they’re so much fun for kids and it’s a great sensory experience. To minimize any messiness, we keep baby wipes nearby and after pressing their hands down onto the canvas, we immediately wash their hands so we don’t end up with paint all over our house. 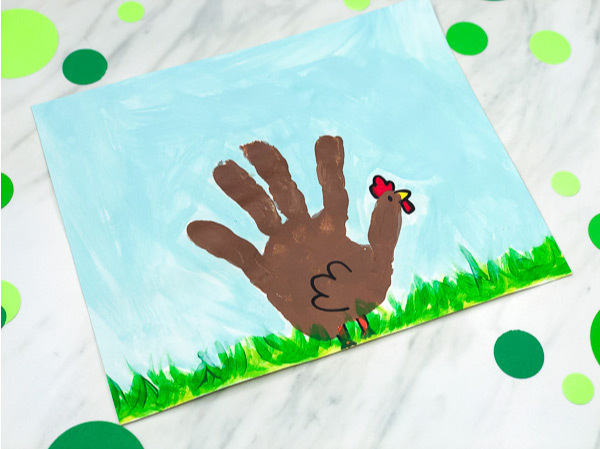 If you want to do more handprint art with your kids or students, click on the links below for more ideas.